Is Royalty Free Meditation Music Really Free? One needs to be very careful about this. Look deeply into the page where you get the music from and as to what rights you have to use this music. If you are not careful, you may find yourself in a copyright wrangle which could end up costing you a lot of worry and money. See what Wikipedia says about Royalty Free Music. Most of the royalty free music that you want, you will have to pay for… and there are also conditions that you will need to pay attention to if you are to use the music. I’ve been using the “Thought Sounds” collection for about 2 years now and I am ever so grateful that I had stumbled across them. I play them with the Neuro-Programmer, where I can add binaural beats, brain wave entrainment and so much more. Now I must make it clear, you do NOT need to purchase the Neuro-Programmer to use the royalty free music Transparent Corp sell – as all music comes with loop software that you can use with any windows PC. The Neuro Programmer for me, just makes it easier and clearer to use. This one is for ambient music. Beautiful deep ‘space’ like tones that is perfect for deep meditation and relaxation. Some nature sounds are also included as well. Take a listen to some samples below. Thought Sounds 1 can be purchased by clicking here. Thought Sounds 2 can be purchased by clicking here. This is one of my favourites of all time! And most likely because it has some of the best ambient/meditation music around. Over 14 hours, (approx 130 tracks) of various meditation music, broken up into deep relaxation, light relaxation, meditation etc. It is KING for anyone interested in making quality meditation tracks and wants to have some great background music. Now I can’t say much about this session as it has only been released yesterday and I haven’t got this one… but, I’ve heard the samples and will be saving to purchase this one too. I just love all of their music. You can hear samples here at their site and purchase by clicking here. What Can you Do With This Royalty Free Music? For the most part you can use this music in just about any productions imaginable! From concerts to recordings, to guided meditations. Please read all the rules about it here. But as far as I’m aware, the only thing you cannot do is SELL the music as a production within itself (without talking over the top etc). For this, you would need a commercial license which you can read about here. I have a commercial license and have been selling CD’s for the past 3 years. I’ve made my money back time and time again and have helped countless people, however, it is a big investment to make (at around the $700.00 mark) so think carefully. I thought I would also include a video here on the Neuro-Programmer and how easy it is to use – and how it can make your meditation music so much more fun to play with. I really hope this will help you in gaining an insight into some of the best royalty free meditation music around. May it help you on your travels and with your meditations. if you have any questions, please don’t hesitate to contact me at Relax Me Online. You can also check out my list of the top 10 youtube meditation music clips here. His music is heavenly and nothing short of an emotional charge for the soul. Breathe into it, relax and let go. You can check more of his music here at Relax Me Online – best relaxation music. Although relaxation music may not be scientifically studied and proven to heal, I have no doubt in my mind that music can be more healing than a lot of medical science provides in the world today. We should never underestimate the power of meditation and relaxation music. I would like to share with you yet another musician that has reached me for many years with his music – and his work truly takes me away when I meditate; that is the music of Japetus. 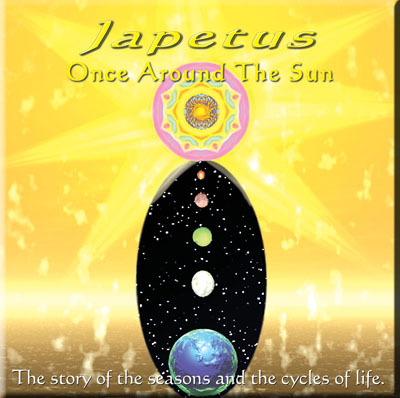 Japetus is an Australian composer who has been composing ambient music since the early 1980’s. I first listened to his music around 1985 whilst meditating and it was heavenly to say the least. Yes, it helped me to reach amazing heights during my meditation period of that time. Here is a sample of his work here: http://youtu.be/7bz87Kf_xrA. I truly feel privileged to have had the honour of contacting this man. (Not in person, but on the web) His music speaks to me. Seriously, where would we be without music? Where would we be? I thrive on it. I breathe it. I live it every moment of my life. Now, I have much to cover in this blog and I don’t want to go on too much as I have much to cover, however just five more artists to mention: Paul Headon (Australia), Dr Harry Henshaw (USA) , Clinton Lourey (Australia), JS Epperson (USA) and Robert Rudnik. (Norway) These musicians have so, so much to offer. Please take some time if you can and check them out. They have given me so much when it comes to quality relaxation music. I recommend these artists with all my heart. Binaural beats are heavenly. They truly are. Have you experienced them yet whilst meditating? If not, please do so… NOW! They make the process of meditation seem to happen at a much faster speed. Some have even reported that we can meditate as deep as a Zen Monk with binaural beats. So what are binaural beats? They were discovered way back in 1839 by a man by the name of Heinrich Wilhelm Dove. It was discovered that these binaural beats he produced helped with inducing creativity, relaxation, meditation, and a variety of other mental states desired by people. Binaural beats are separate frequency tones played in each ear with the difference between frequencies of tones played in each ear determines the brainwaves’ effect. For instance, if a sound of 250 Hz is being played in the right ear with 260 Hz in the left, the frequency of the beat will be 10 Hz. 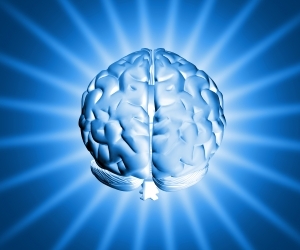 The human brain emits strong signals filled with energy. ‘Waves’, as they are called, are emitted every second during an individual’s lifetime. These brainwaves’ frequencies vary based on the feelings and thoughts that occur in the minds of people. According to the Law of Attraction, we have the ability to attract whatever we lay our focus on, thus helping you control your emotions, thoughts, and feelings. I put binaural beats to the test one day… and guess what? They passed with flying colours! I put on my headphones as I listened to Theta binaural beats play underneath a beautiful soundtrack of storm and rain. Well, simply put, it was an amazing experience. I felt like at one point that I had left my body. Tingles began to happen throughout my entire body. So , at this point I could say that this was the best music for meditation! This recording has binaural beats in it and helps with anxiety And this one can help with can help with meditation and opening of the chakras. For pure meditation purposes, take a listen to the second recording. Brainwave Entrainment – the best music for meditation? Brainwave Entrainment is a rapidly growing field that involves the study of how changing brainwaves by natural means, will allow people to effortlessly enter states of increased intelligence, creativity, relaxation, pure energy, and more. Here is a little of the science behind this fascinating subject: The brain is made up of billions of brain cells called neurons, which communicate with each other using electrical signals. All of these neurons sending signals at once, produce a large amount of electrical activity, commonly called a Brainwave Pattern. Researchers and scientists have found that different bands of brainwaves, are associated with different mental states. For example, the brainwaves of a sleeping person are much different than the brainwaves of a person who is awake. In the 1980′s, Dr. Glen Solomon and others, researched entrainment for headache relief, as well as general relaxation. In 1981, Arturo Manns published a study showing the effectiveness of Isochronic Tones as a means of audio-based brainwave entrainment. This was later confirmed by others, such as David Siever. Michael Hutchison also wrote his landmark book, MegaBrain, in 1981, outlining the many possible uses of entrainment, from meditation to enhancing creativity. You can check out some brainwave activity here. This recording has been known to assist with relief of headaches. Listening to a particular type or genre of music can help alter your brainwaves significantly. When you listen to brainwave entrainment – the technology used to scientifically develop auditory tunes, your brain’s electrical activity is stimulated in a manner such that it follows a specific frequency. You can even make your own Brainwave entrainment music here… of if you are not feeling too creative, purchase ready made entrainment here. I have found brainwave entrainment to be like magic. But it does take work and continuous use to gain the REAL benefits of relaxation. So there you have it. 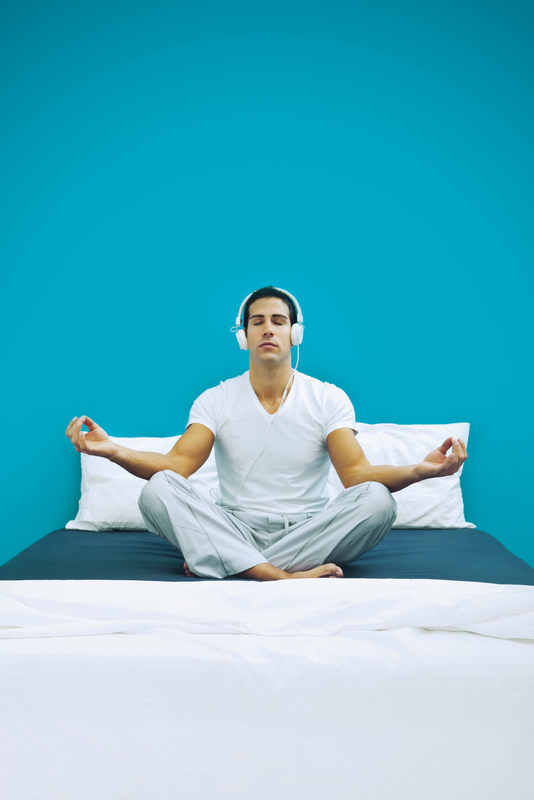 Really, the best music for meditation is the one that is BEST for YOU! It is a personal choice. In all honesty, I’ve found great experiences in all of the above at different times.